Stelrad is now a well-known name within the energy saving radiator market. The Energy Series will easily help you heat your home in a more cost-effective way. 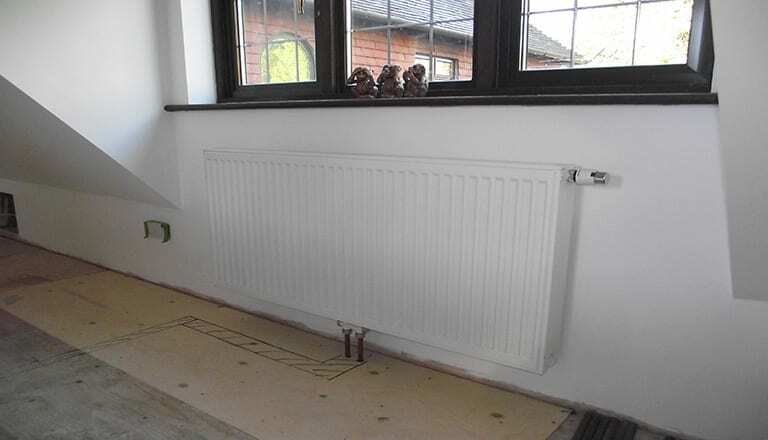 The best thing about this particular Energy Saving Series radiator is that it will heat your home, but just the wall. As you may already be aware, the vast majority of traditional radiators lose a lot of heat energy from the back of the radiator, which is lost in the wall. The Stelrad Radical radiator revolutionizes this by changing how the radiator is heated. Also, the front panel of the radiator will be warmer, which means you’ll likely feel warmer faster! Here, we’ll give you all the important information you need to decide whether the Stelrad Radical radiator would benefit you. If you are looking to cut energy costs, you should definitely consider the Radical radiator from Stelrad. If you take the time to manage your energy consumption. Choosing a Stelrad Radical radiator will definitely help you achieve this. Not only will a Radical radiator lower your overall CO2 emissions, it will also lower your overall energy costs. This is mainly because your heating system will run more efficiently. The main difference between the Radical radiator and other traditional radiator models is the levels of radiation it uses. The front panel of a Stelrad radiator will have much higher levels of radiator in the front panel. This helps limit the amount of heat energy wasted from the back panel of the radiator. Also, this will ensure your heating system operates at a higher efficiency level. With this radiator model, you won’t be wasting important heat energy into the walls. As you can see, choosing to install the Stelrad Radical radiator in your home it will easily improve the efficiency of your heating system by limiting heat loss from back panels and lowering your CO2 emissions. This, in turn, will have a positive impact on your heating bills. In fact, if you choose to switch to a Radical radiator, you can save up to 10.5% in energy heating costs. That’s an impressive saving! Is a Stelrad Energy Series Radiator Your Ideal Heating System? With more and more people looking for ways to cut increasing energy costs, as well as improve the overall efficiency of a heating system, the Stelrad Radical is the perfect option. Also, with the Stelrad Radical, you know you are maximising the energy output of your heating system. The Stelrad Radical Radiator system also provides flexibility when it comes to the size and style of its radiators. Also, Stelrad Radical Radiators look great and offer great value for money! You’ll easily be able to find a style and size that fits your personal needs. Thinking about installing a new heating system in your home or have just finished installing a new system? Let us know your thoughts on whether or not the Radical radiator will make the cut in the comments below.